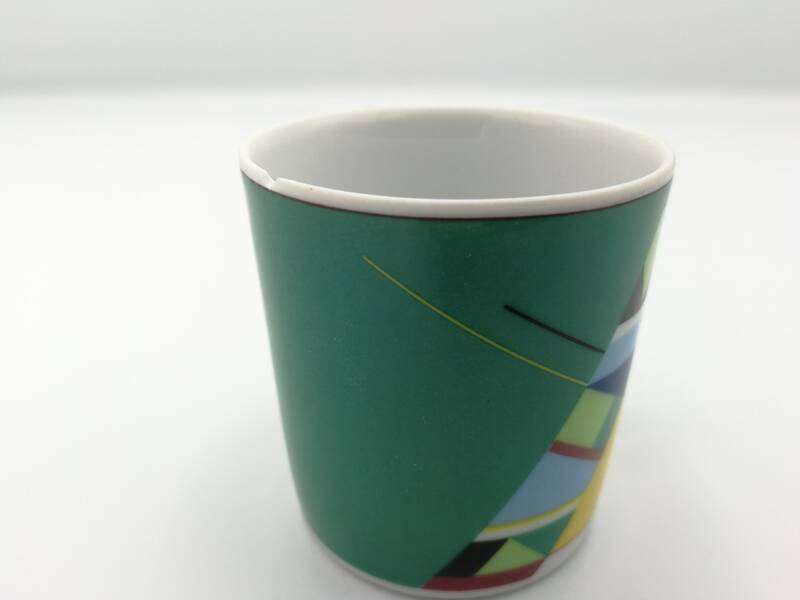 ATTENTION: ONE CUP HAS A SMALL CHIP, SEE PHOTO 2. 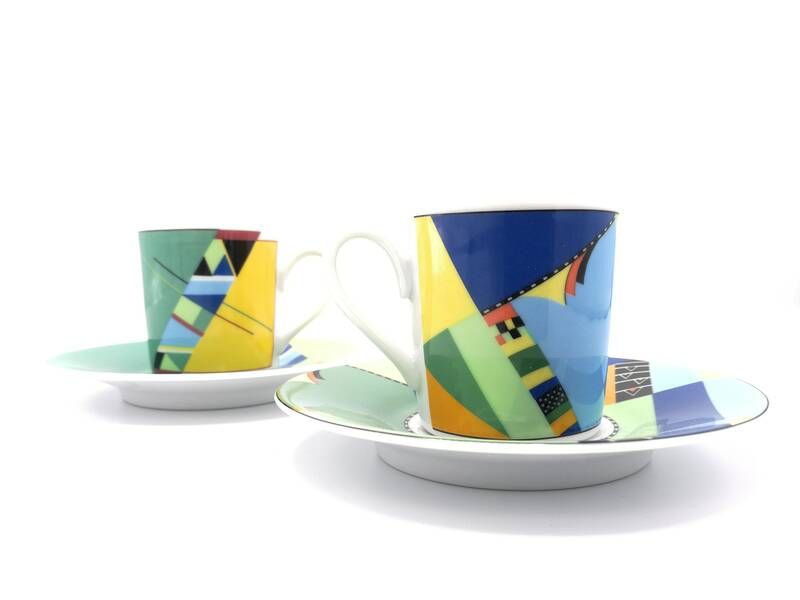 These espresso cups are as cool as 80's design gets. 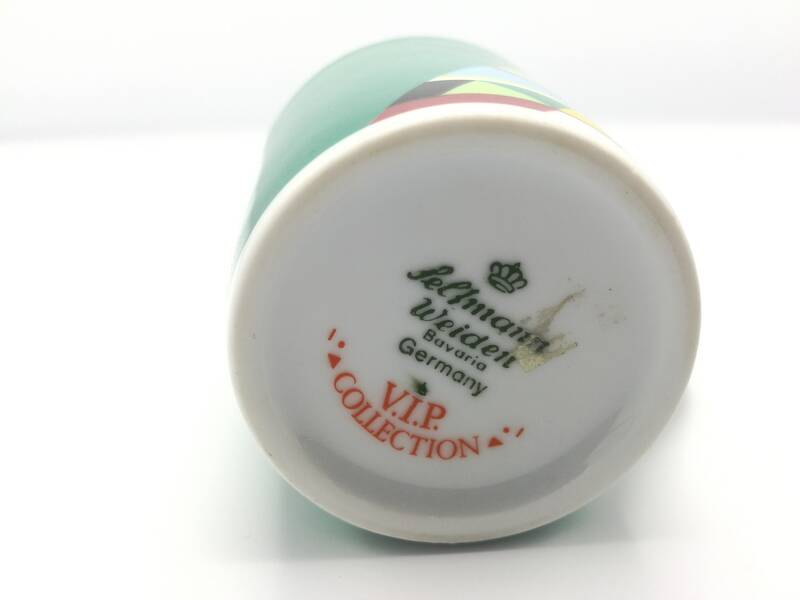 Drink your cup in style with this VIP. 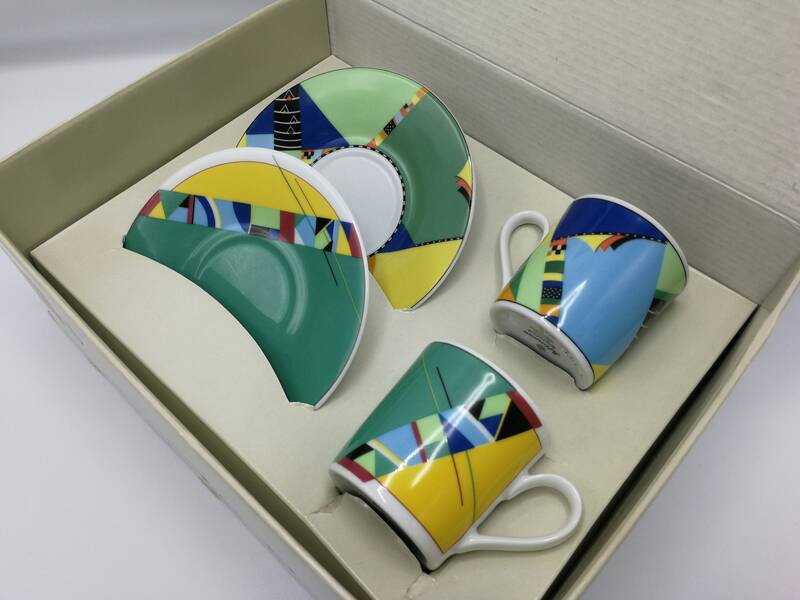 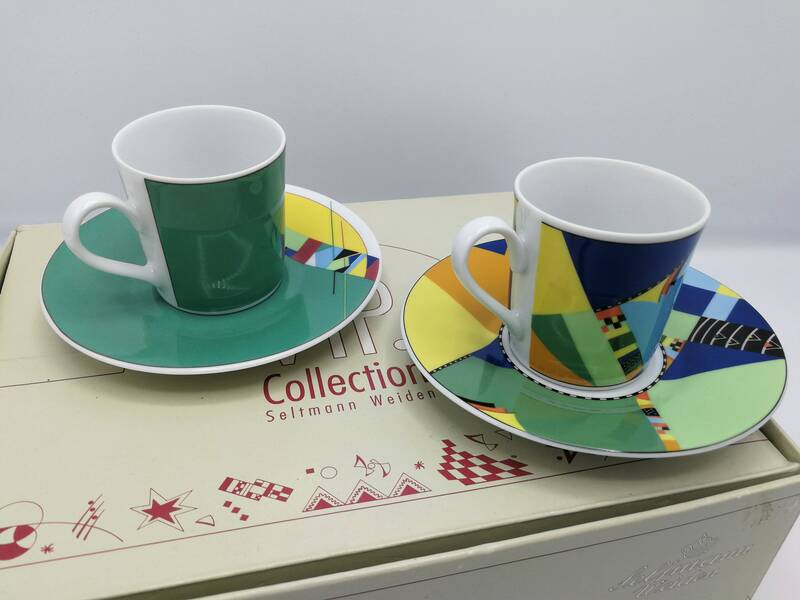 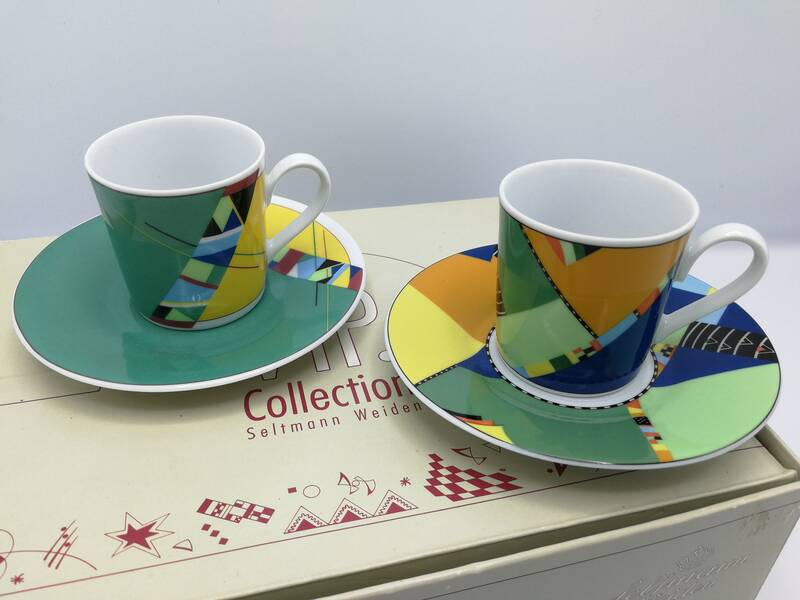 Collection Seltmann Weiden set. 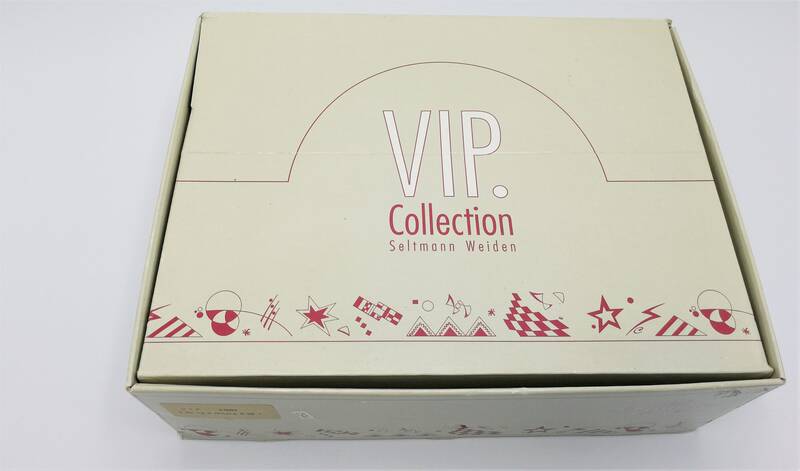 The're still in the original box and in mint condition. 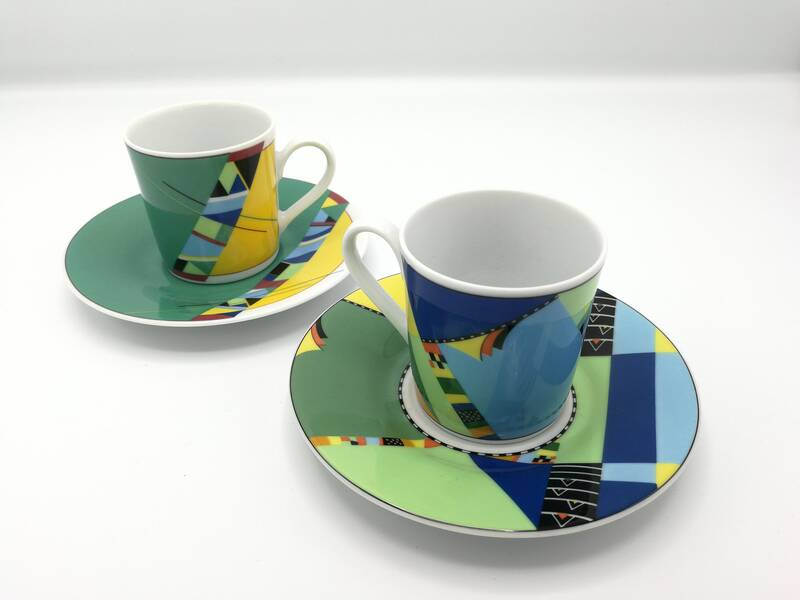 They have a very Memphis Milano like pattern design. 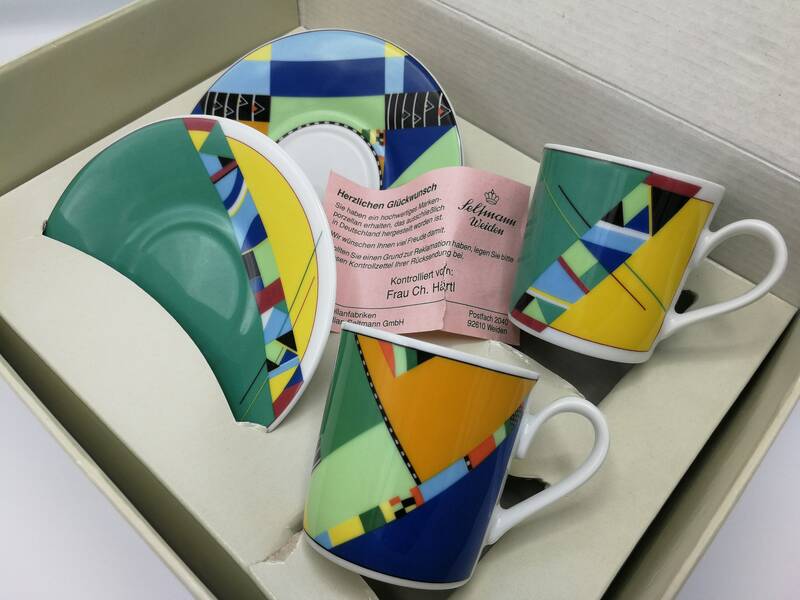 We have another set in perfect condition.